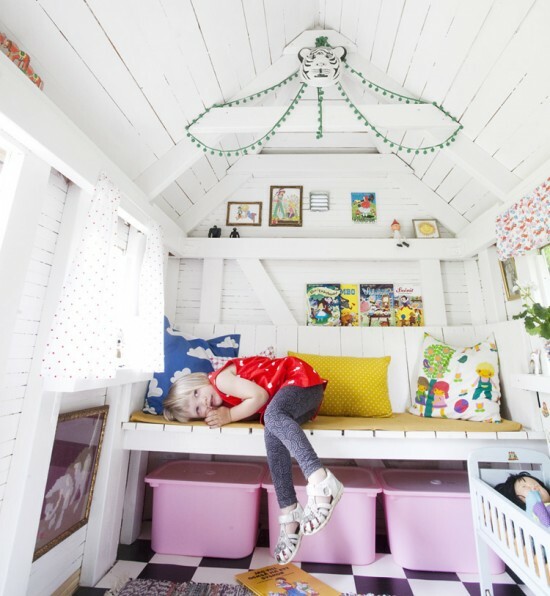 We have reviewed a number of sleek, designer cubby houses recently on Babyology but if you’re after something a little less minimalist and a little more playful, check out Irma’s playhouse for design inspiration. 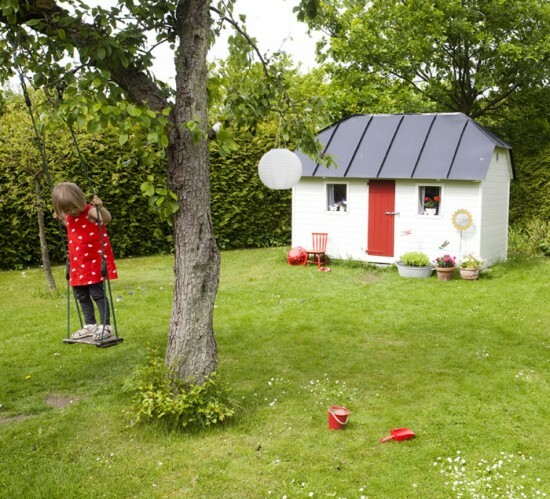 Kicki, of Havtron Design, created a cubby house for her three children Irma, Timo and Vera. Eclectic style oozes from every corner and the charm is in the detail – a little collection of Pez dispensers on display, laminated pictures from storybooks on the walls, an adorable play kitchen and practical storage tubs for all the stuff that you need on hand in a cubby. 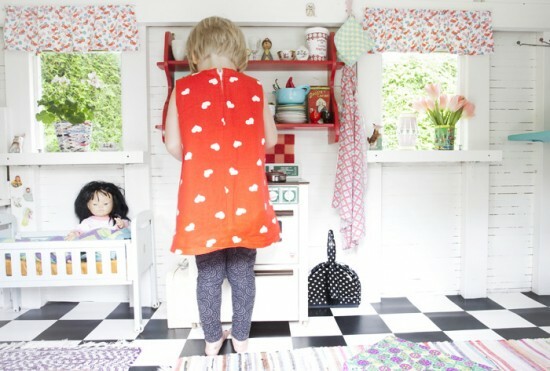 The cubby was bought on Sweden’s equivalent of eBay, repainted white and spruced up with black and white ’tile’ lino. 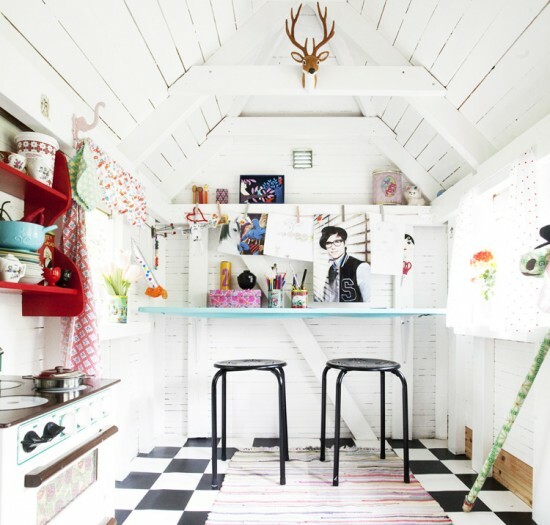 Virtually everything in the cubby was sourced from flea markets – cubby style on a shoestring! 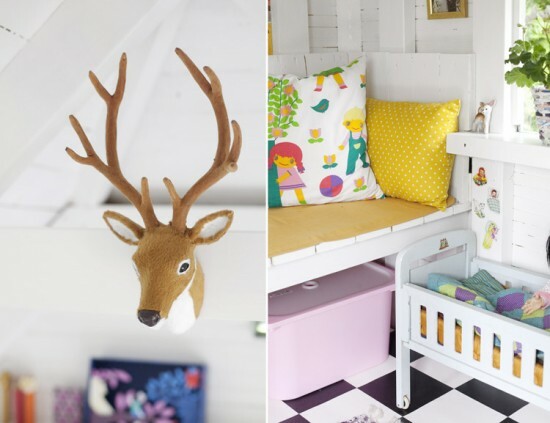 I really love this cubby and suspect that it will become a very special place for lucky Irma, Timo and Vera. 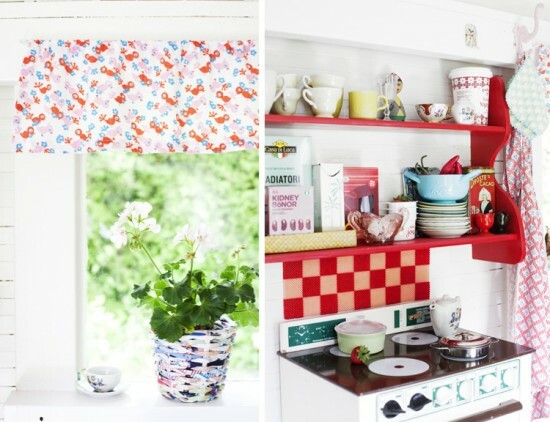 Want more cubby houses? Check out our previous posts.